Ivano Ianelli, CEO, Dubai Carbon; HE Ahmed Buti Al Muhairbi, Secretary General, Dubai Supreme Council of Energy; HE Saeed Al Tayer, MD, DEWA; Waleed Salman, Chairman, Dubai Carbon. Dubai, United Arab Emirates: Dubai Carbon has jointly announced with the Dubai Supreme Council of Energy (DSCE) that it has reached a major milestone to incentivise retrofit markets in the entire UAE. The UN backed Programme of Activities (PoA) framework, launched during WETEX 2016, will enable ESCO type and efficient lighting projects to earn carbon credits once included as Component Project Activities (CPAs) within the framework. 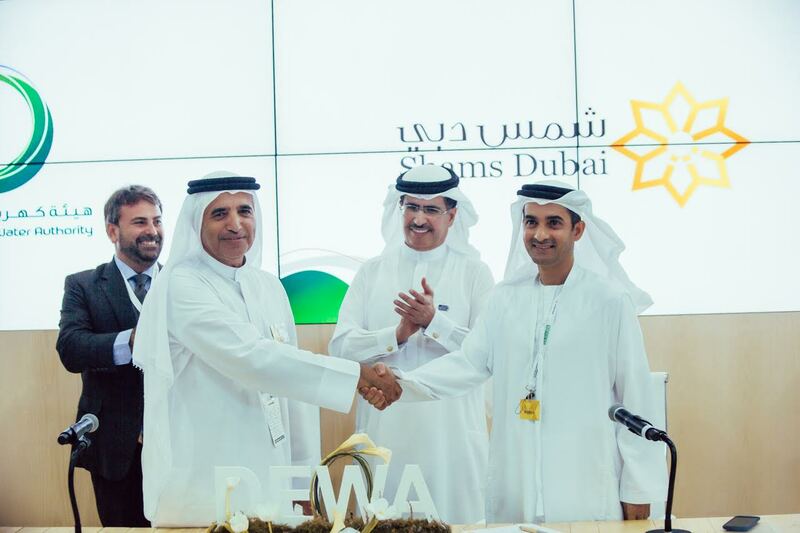 The PoAs will be managed by Etihad ESCO, the Dubai Government owned SuperESCO vehicle, with consultancy support from Dubai Carbon, which will also act as the coordinator between UNFCCC, Etihad ESCO, DSCE and CPAs. The PoA, ‘Fostering an ESCO Industry in the UAE’ once registered will become an umbrella programme for small-scale ESCO type projects, that from a financial point of view otherwise may not be suitable to apply for Clean Development Mechanism (CDM) Project Activities. Meanwhile, the ‘Lighting Efficiency PoA in the UAE’ will support energy-efficient lighting retrofit projects that cut energy demand and associated emissions. Dubai Carbon Centre of Excellence (DCCE), the first-of-its-kind center in the region, under the Supreme Council of Energy, promotes Dubai’s transition to a low-carbon green economy and is responsible for monitoring the levels of carbon emissions in the emirate. DCCE was established in January 2011, as an agreement between the Supreme Council of Energy and the UNDP. The DCCE offers advisory and carbon aggregation services to facilitate Dubai’s transition to a low-carbon economy.